A homebuilt aircraft nearing completion. This one has a Corvette engine in it! There are many different routes to general aviation. Many owners choose the certified aircraft route, whereby they own a machine which was manufactured and registered “certified”, is serviced and repaired by a licensed AME (aircraft mechanic engineer). For those pilots, the confidence of having their machine looked after by a professional and having that machine conform to the rigid parameters of the “certified” type is perfect. It’s not the least expensive option, but it works for a huge portion of the GA fleet. You can find more on certification types here. Then there are those “others”. You probably know a few. The tinkerers – the craftsmen (crafts-people) and the home mechanics. These people don’t want to have someone else do it for them. These people want to service every aspect of their aircraft, know it inside-out and be able (legally) to maintain every part of their own machine. More than that really, these people want to build their own aircraft. To the uninitiated building your own aircraft seems a little outlandish. Sure, guys like the Wright brothers and Bell had to, but these days wouldn’t you want to buy a airplane off-the-shelf? Surely, building a plane is too difficult for a non-professional “home-builder”. Surely, the knowledge of avionics, flight physics and engines would take years to gain. Wouldn’t it be dangerous? Well, no. Enter the homebuilt aircraft manufacturers. These are companies, well established companies (see links below), who offer kit aircraft to be built by the home builder in his or her hangar, barn and (sometimes) garage. Not only is it possible to build your own machine, it’s possible by nearly anyone! There is a little confusion as to what homebuilt means, so let’s first clear that up. Homebuilt means the owner must build 51% of the aircraft. They can enlist professional assistance (for example from the factory with homebuilder assistance). A portion of the aircraft can be pre-built (often called “quick-build” kits) but the majority of the work needs to be done after the kit is shipped to the owner. Before flying, the aircraft is (rigerously) reviwed and inspected by Transport Canada (TC – the government body and grand overseer of all us pilots/owners) for airworthiness. Nothing flies that TC does not like! Example of a placarded homebuilt aircraft in Canada advising occupants of the nature of the certification/type. 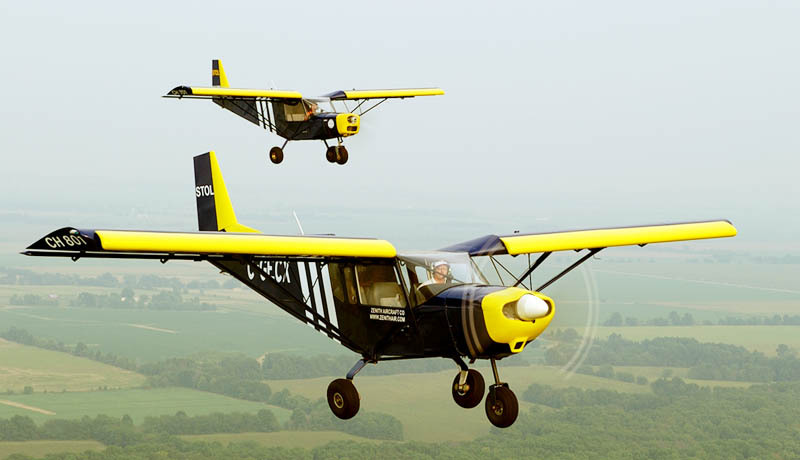 Finally, homebuilt aircraft can take the form of everything from simple paper plans where the builder builds absolutely everything, to bolt-together kits designed for even the newest of newbies. They range from million-dollar 300-MPH turboprops (no kidding) to single-person day flyers which can be built for $12,000. To get an insight into this growing sector of GA, we visited two very different Canadian aircraft kit manufacturers, namely Zenair and Fisher Flying Products. Both have well-know brands in the industry and both provide quality kits to the builder. What better place to start than some of the best known, international kits in the world – both residing within an hour’s GA-flight of each other in Southern Ontario. CH -701 Super STOL by Zenair Canada – notice the leading-edge slats for incredible short-field performance. Why these two? These manufacturers play the same game but in totally different ways. Zenair, you’ll probably know by their uber-succesful CH701 and 750 STOL machines as well as their sleek low-wing 600 series. Aluminum plate, steel tube and fabric with a seemingly endless power-plant options, these 2 and 4-place machines compete (and excel in some aspects) with certified aircraft, but for maybe a tenth of the cost! Zenair, and their US cousins Zenith (same products, but for the Canadian market we concentrate on Zenair) have been producing kits since aeronautical engineer Chris Heintz founded Zenair Ltd. in 1974. Check out our factory tour: click-here. The beautiful Fisher Celebrity – wooden construction and more charm that you can find almost anywhere else – incredible. Fisher Flying Products have been selling their all-wooden kits internationally for over 25 years. Totally different in construction to the aforementioned Zenith, their range of high-wing and bi-planes include some of the most classic creations in the sky. Close your eyes and dream of lazy summer flying in a classic bi-plane like the “Classic” or the 80% scale “Tiger Moth” and you’ll get the idea. 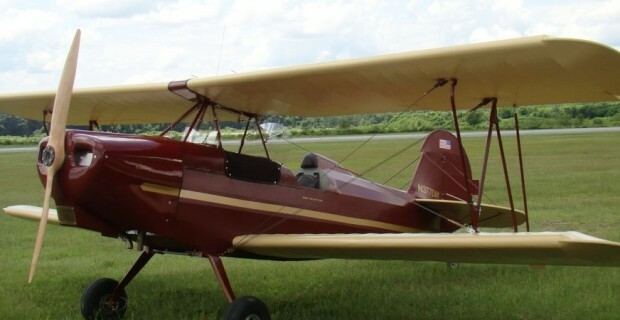 Historic looks, low and slow flight but with modern engines and avionics are the name of the game here. Check out our factory tour: click-here. All-said, the homebuilt route is one of economy, experimentation and skill. It perfectly suits the creative mind, cures idle-hands and produces some of the most beautiful birds in the sky.